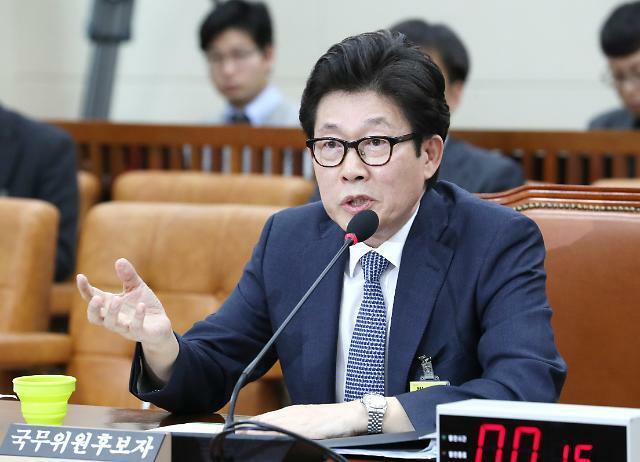 President Moon Jae-in plans to appoint the environment minister nominee as minister Friday, his office said, despite opposition objections that the nominee is unfit for the job. Moon plans to appoint Cho Myung-rae as new environment minister and Noh Hyeong-ouk as new chief of the Office for Government Policy Coordination, later in the day, said Yoon Young-chan, senior presidential press affairs secretary. Cho was nominated in early October, but opposition lawmakers raised objections, claiming he's unfit for the job due to a series of ethical lapses, including false registration of his home address to get his children into better schools. The parliamentary environment committee held a confirmation hearing but failed to adopt a report on its outcome due to opposition objections. By law, the National Assembly cannot reject a minister's nomination and refusal to adopt a confirmation hearing report is the most it can do to express objections. Last week, Moon asked for the confirmation hearing report, but the National Assembly failed to do so.